my new most favorite string of play on words? 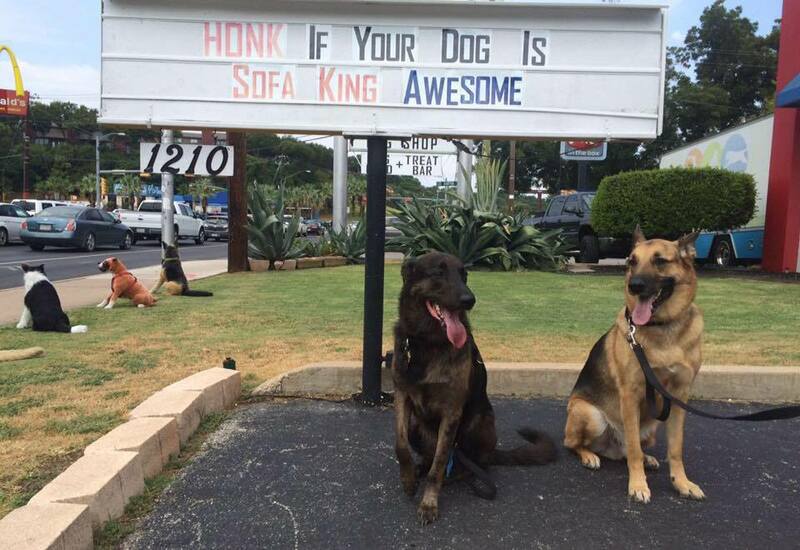 “sofa king awesome.” kudos to the folks at great outdogs at barton springs and lamar! i saw their marquee one evening while sitting at the light and had to make the trip with my sofa king awesome dogs the next afternoon! do you have a favorite marquee? or a favorite string of words/play on words? go be sofa king awesome.